(Seaside, Oregon) – History, Hops and Holidays: that's what the Seaside History Museum has in store for the north Oregon coast with an engaging lecture and a festival of holiday goodies throughout December. (Above: wreck of the Peter Iredale in Hammond). 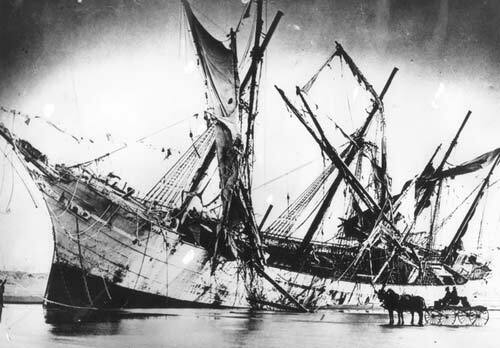 Coming up this week, north Oregon coast shipwreck history gets a special treatment. Seaside Museum’s next History and Hops happens on Thursday, November 29, featuring “Lost Castaways and Mystery Shipwrecks on the Oregon Coast." The talk is given by Scott Williams, the lead archaeologist for the Maritime Archaeological Society's Beeswax Wreck Project. Although most people first think of the Peter Iredale when the subject of local shipwrecks comes up, many other shipwrecks have slammed into north Oregon coast shores. Here, it’s called the “Graveyard of the Pacific” and it abounds with tales of mysterious shipwrecks, lost castaways, pirates, and sailing vessels. Williams will recount stories, mysteries and history from the Graveyard that he has learned of during his many archeological forays. 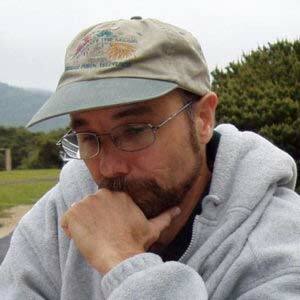 He will also discuss his current undertakings on the Beeswax Wreck Project. Williams is a professional archaeologist with more than thirty years of experience conducting archaeological research throughout the Pacific Northwest, the islands of the Pacific, and Australia. He works as the Cultural Resources Program Manager for the Washington State Department of Transportation, where he manages the agency's archaeology and history program. In addition, he is on the Board of the Maritime Archaeological Society and serves as the Principal Investigator for the Beeswax Wreck Project, a non-profit, multi-disciplinary team investigating a Spanish Manila galleon wrecked on the north Oregon coast in the 17th Century. 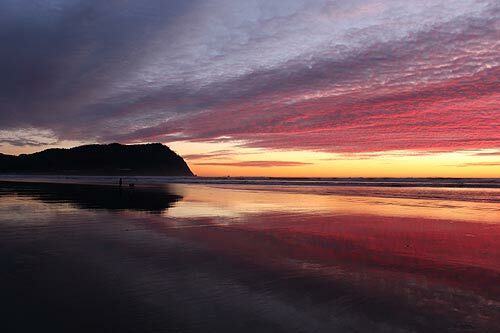 The program takes place at 6 p.m. at the Seaside Brewing Co. 851 Broadway St, Seaside, Oregon. (503) 717-5451. Already taking place now, the Seaside History Museum is in full-blown holiday mode. Museum elves have been hard at work preparing their circa 1893 Butterfield Cottage for the winter holidays and its Gingerbread Tea events. Trees, wreaths and pine garlands decorate every room of Seaside’s very own authentic Victorian cottage. Dates for the Gingerbread Tea are December 1, 8 and 15. Cost is $5. 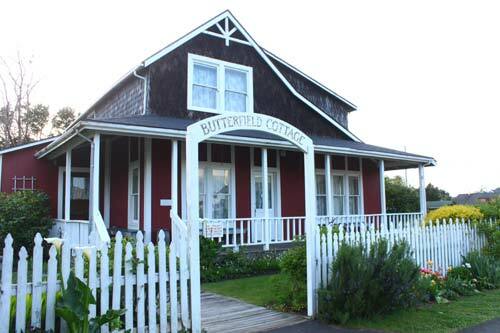 Lovers, families and friends having been diving into the Gingerbread Tea at the Butterfield Cottage every holiday season for more than thirty years. Sharing a cozy, relaxing afternoon while enjoying holiday music and snack has become the holiday tradition for many residents as well as visitors. 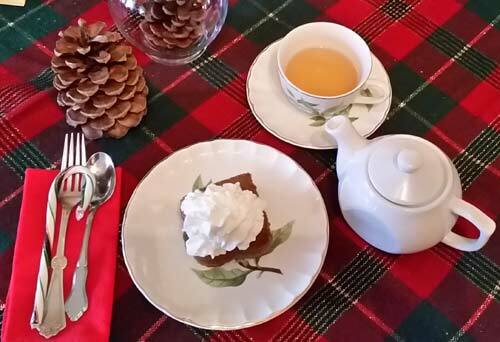 You’ll get to indulge in homemade gingerbread cake, baked by museum “grandmothers” and served with fresh whipped cream along with a choice of hot tea, cocoa or hot spiced cider. Children can have a homemade old fashioned gingerbread men cookie. Plus, candy canes for all. What is a tea party without music? Shirley Yates will be singing and playing keyboard on December 15th. Other musical surprises will be sprinkled in over the weeks. Tickets for the annual holiday raffle are available at each tea or at the museum for $1 each or 6 for $5. You can win a handmade holiday quilt or afghan - both specially created for Gingerbread Tea – or a gingerbread “candy” cottage that can be redecorated year after year or a large decorated poinsettia from Mimi’s Florist. Winning tickets will be pulled at 4 pm on December 15th.